From Building Blocks of Entrepreneurship to the Human Side of Tech. TechChill will be hosting founders, investors and entrepreneurs in Riga, the snowy capital in the heart of the Baltics. The annual event traditionally launches the startup season, and as the interest in the region has been growing, so has TechChill. The event, which started out as a small meetup with just a few people under the TechCrunch Baltics brand in 2012, is expecting 1000 people to be in attendance, which is double the number of last year, with an impressive speaker lineup, two days of agenda and several side events. The focus, however, stays the same - to share global knowledge and help startups make the right connections to move them forward. TechChill programme will be structured on the three main themes across two days and two stages. On 9 February, The Building Blocks of Entrepreneurship on the main stage will focus on the practical side of creating a successful business, divided into three blocks - Starting-Up Strong will deal with the essentials of great beginnings, followed by the challenges of development and scaling at Growing a Thicker Skin, and the final element - Community Culture, discussing both the importance of the community and the challenges of creating a company culture. Day 1 speakers include Startup Sesame CEO Ben Costantini, Wix.com VP Operations Nurit Reder, Zalando SE Head of Innovation Marc Lamik, Pirate Summit founder Till Ohrmann and more. The main day on 10 February will offer an agenda on two stages. The main theme on the Highway Stage will be The Human Side of Tech divided into three parts - Tech That Solves Issues, Founder stories, and Change and Challenge. The first block will start out with Mike Butcher talking about his passion for the TechFugees initiative, ed-tech Edurio founder Ernest Jenavs and Stephanie Kaiser from the Berlin-based health-tech startup Clue, sharing their stories of tech impact. The next block will host very different founders from different sides of the world, highlighting the good, the bad, and the ugly personal stories of entrepreneurship, including Peter Halacsy, co-founder of Prezi (Hungary), Bob Tinker, co-founder of MobileIron (US), Mai Medhat, co-founder of Eventtus (Egypt) and Hanna Aase, CEO of Wonderloop (Norway). The main stage will follow up with stories on challenge, and a panel on the Baltic ecosystem with founders from the region, such as Karoli Hindriks, co-founder of Jobbatical. Second stage Underground will focus on trending products and industries in the news, such as VR, Artificial Intelligence, Blockchain and hardware. A highlight of the day will be Startup Funeral, honest to the bone stories of startups that suffered majestic failure, from founders who lived to tell the tale. The official programme will close with the final pitches of the StartupWiseGuys Pitch Academy startup teams, competing for the audience’s attention and several prizes, including an all-expenses paid trip to Silicon Valley for pre-arranged meetings. 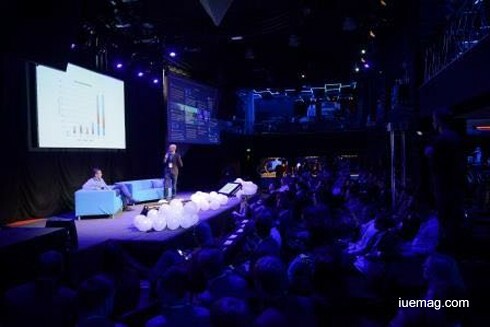 TechChill will also feature Startup Expo, an expo of ideas and products from the most promising Baltic startup companies, as well as pre-arranged startup meetings with investors. The official agenda is also only part of the event, as the evening programme across three days will be just as extensive. On 8 February, TWINO will host a Fintech Talks Meetup on Disruptive Financial Services, discussing disruptive financial services in relation to the development of banks, FinTech and GAFA. On 9 February, a pre-party will help solidify new connections, and the week will close with a massive Afterparty, as per tradition, after the closing of the TechChill official programme on 10 Feb, with an open-air sauna straight from Helsinki. TechChill is organized by the non-profit association TechHub Riga. The main sponsors are development finance institution ALTUM, TWINO and Printful. Partners include Monea, Accenture, US Embassy, the Israeli Embassy, Social Discovery Ventures, Taxify, Hedman Lift, Startup Wise Guys, PINS, AirBaltic, Cobalt, Microsoft, Department of International Trade. Friends of the event include Caballero, WIG design studio, Pipedrive, Avalon hotel, Riga Tech Girls, The Mill, Tech Nordic Advocates, Live Riga, DevTernity, Startup Embassy and Ethos. The iUeMagazine team is delighted to work with this event as Online Media Partners & is expected to bring Unlimited Inspiration for all readers from the proceedings of this event. Staying tuned to the enriching updates from this event is recommended. Any facts, figures or references stated here are made by the author & don't reflect the endorsement of iU at all times unless otherwise drafted by official staff at iU. This article was first published here on 20th January 2017.